Bake 15 to 20 minutes or until heated through. Sprinkle with thyme. Purchase asparagus spears with firm, tightly closed and unwilted tips. Before cooking, remove woody ends of stalks by snapping them off or cutting them off with a knife. Cook asparagus as soon as possible after purchasing. 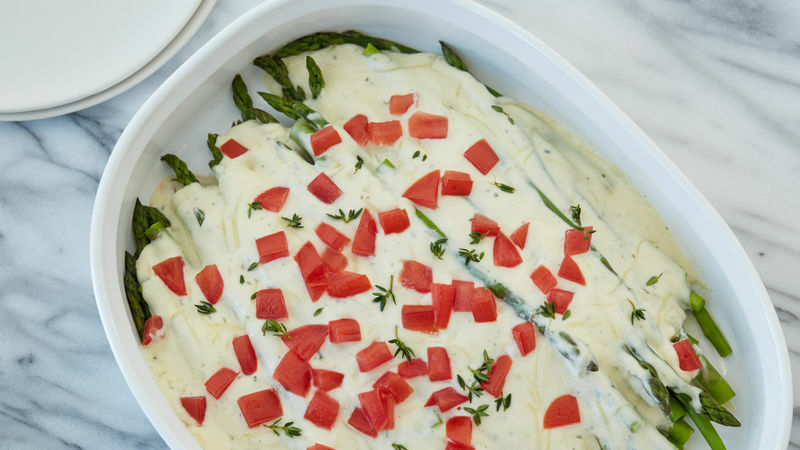 For easier prep, asparagus can be blanched ahead of time. Store covered in refrigerator. Warm asparagus slightly before assembling dish.